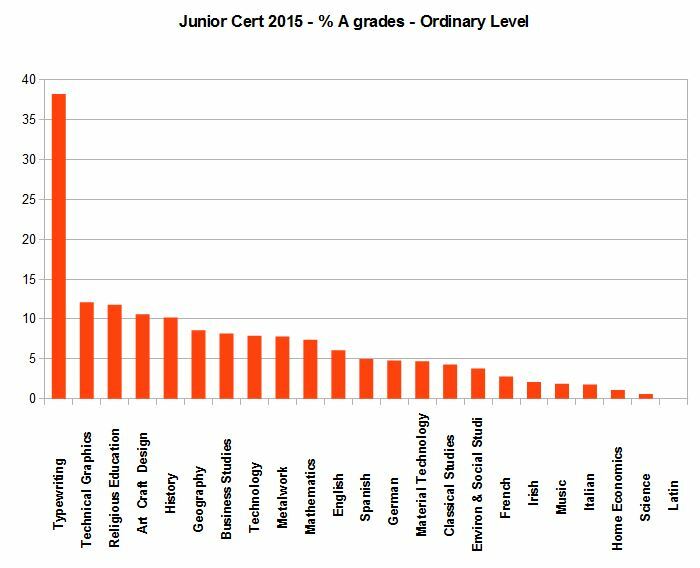 THIS MORNING SOME 59,522 Irish students will find out how they got on in their Junior Cert. Results have been issued to schools and will be available this morning, while all results will likewise be available for students to access on the State Examinations Commission’s (SEC) website – here – from 4pm this afternoon. Students will require their examination number and their PIN to access the portal. 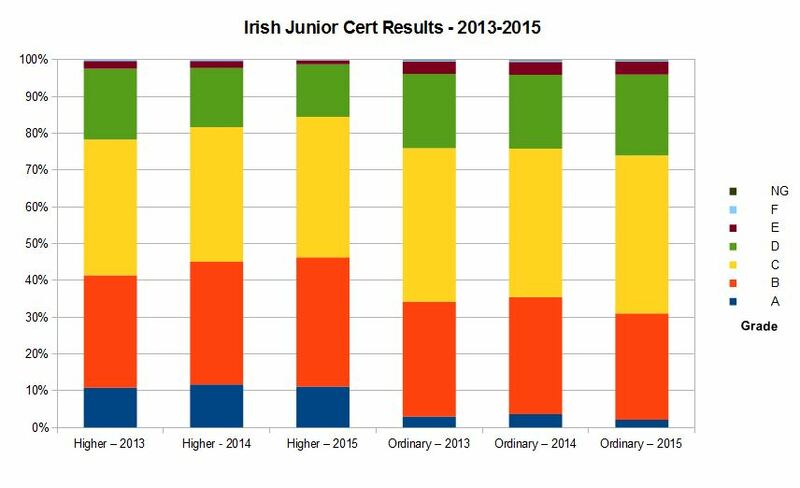 Provisional results released suggest that it’s very much a case of as-you-were for most students in the three pillar subjects of Irish, English and Maths with little movement seen in the grade trends of students over the three years 2013-2015. 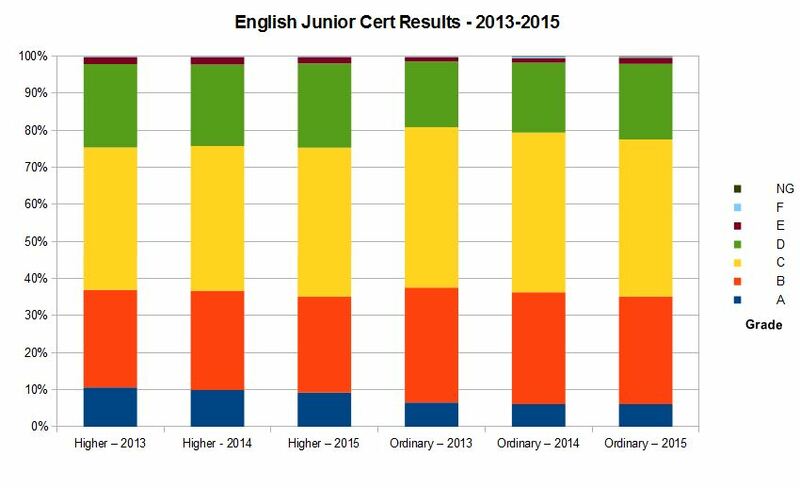 Irish Higher Level saw a slight upward swing with more students receiving a B grade as opposed to a C compared with 2014. 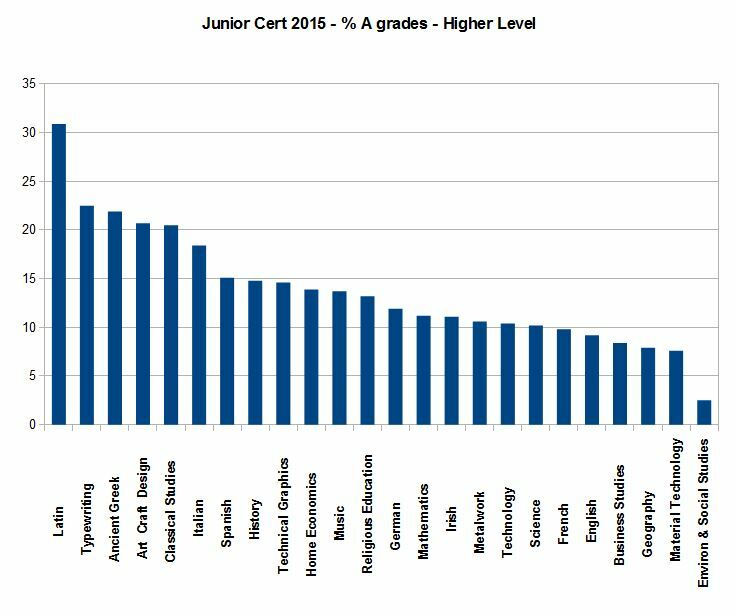 Ordinary Level A grades remained very thin on the ground with just 2% of students receiving same. In English both Higher and Ordinary Level results were broadly similar to 2014 also, with a slight decrease in the number of students getting A grades at Higher Level to 9.2%. 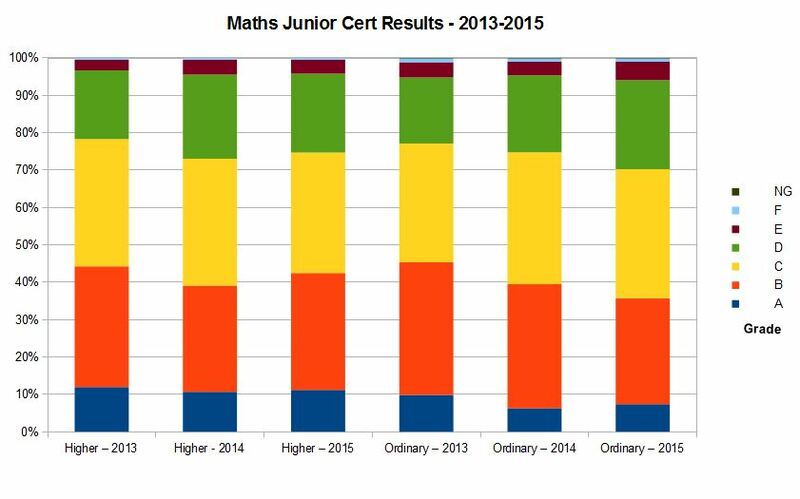 Maths meanwhile saw marked improvement this year in terms of students receiving top grades at both Higher and Ordinary Levels. Worryingly however, the number of students receiving a D grade or lower at Ordinary Level has increased from 24.3% to 28.8%. Standout optional subjects for receiving A grades at Higher Level include Latin, Typewriting, Ancient Greek and Art, Craft & Design, with over 20% of students taking each subject achieving a top mark. Latin, with 30.9% of students receiving an A, was the standout subject here. At Ordinary Level Typewriting, Technical Graphics, Religious Education, Art, Craft & Design, and History were the standout subjects this year for top marks, with all showing greater than 10% of students sitting them receiving an A grade. An incredible 38.2% of students who took typewriting at Ordinary Level received an A. The social media generation will certainly know how to type accurately, that’s for certain. 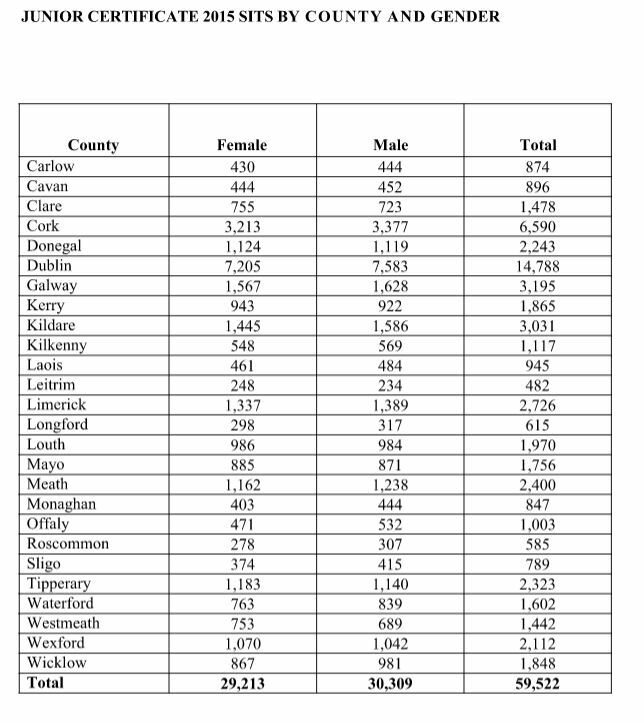 By far the most populous county for students sitting the exam is Dublin as you might expect, with 14,788 students, with Leitrim and Roscommon bringing up the rear with just 482 and 585 students respectively sitting the exams. Education minister Jan O’Sullivan has congratulated the 59,522 students who are to receive their results this morning. “I want to congratulate all those who are receiving their Junior Certificate exams results today,” she said. I hope that your results reflect the hard work you have put into your studies and give you a solid foundation to continue your studies in the coming years. Meanwhile, on foot of the results a number of organisations have stepped forward this morning to encourage students to enjoy their results, but also to “celebrate responsibly”. General secretary with the Teacher’s Union of Ireland (TUI) John MacGabhann said that “students should be proud of their achievements today”. “If we could offer one key piece of advice today it would be to urge students to continue with their education,” he said. Students should celebrate responsibly and should remember that they do not need to drink to enjoy themselves. With this in mind we urge those in the off-licence trade and vintners to be vigilant and not to sell alcohol to minors. The latter sentiment was echoed by Alcohol Action Ireland (AAI) who said “alcohol should play no part in Junior Cert celebrations” in a statement. “There is a real and immediate obligation on pubs, nightclubs, supermarkets, shops, and off-licenses to ensure that they are not selling alcohol to people under the age of 18,” said head of communications with AAI Conor Cullen. This applies at all times, but they should be particularly vigilant this week. Alcohol use is a serious risk to children and young people’s health and well-being. The best of luck to all students receiving their results this morning from all at TheJournal.ie. Email “Junior Cert students are getting their results today. Here's how they did”. Feedback on “Junior Cert students are getting their results today. Here's how they did”.